On 22nd February 2011 Windows 7 Service Pack 1 (SP1) was released, and I am very pleased to say that all the rendering issues discussed below are now solved. In many ways Windows 7 is a great improvement on Vista, but this is the sad story of why my children have the use my shiny new Windows 7 laptop, and I am sticking to the old, not very user-friendly and not very reliable Vista laptop. I hope that one day I will be able to write a blog extolling the virtues of Windows 7, but given the contents of the forthcoming Service Pack 1 it seems very unlikely to happen any time soon, and at the current rate of (lack of) progress, I am afraid that Microsoft will lose more and more of the few remaining loyal customers like myself who find it impossible to do cutting edge Unicode stuff with an operating system that values gimmicks over functionality, and for every step forward takes two steps backwards. 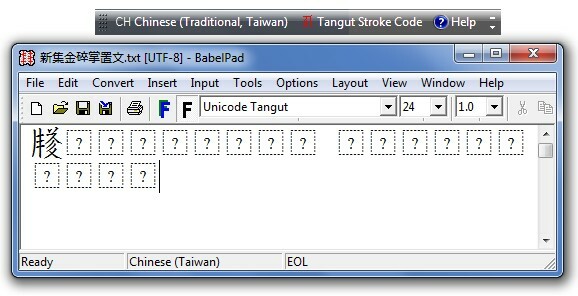 In anticipation of the eventual encoding of the Tangut script in Unicode, I have been prototyping a couple of Input Methods for Tangut that use the table driven text service that is available in Windows Vista and Windows 7 (see Michael Kaplan's twelve-part series Behold the Table Driven Text Service for a tutorial). 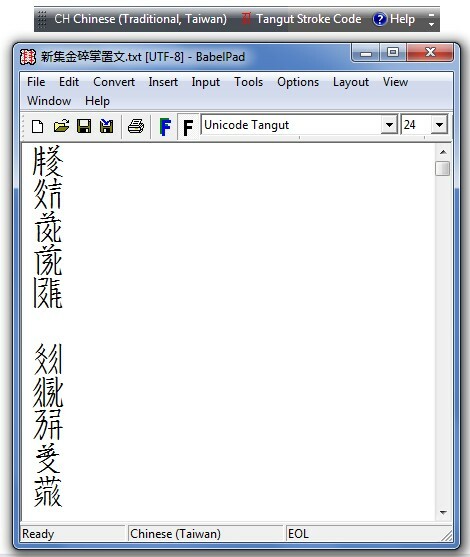 Hmm, the IMEs both work just fine, but the Tangut characters in the candidate list show up as little squares, which means that if two or more characters share the same alphabetic code sequence you have to guess which character to choose, and even if it is a unique alphabetic code sequence it would be nice to see what the character looks like. 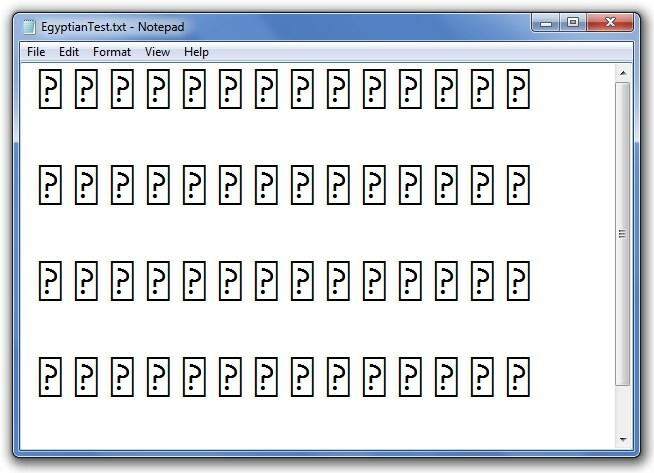 Unfortunately, for Vista there is no way to specify what font to use for the candidate window, but as explained by Michael Kaplan in Can't I pick the candidate list font if I don't speak fluent square box?, Windows 7 introduces new FontFaceName and FontSize parameters for the TableTextService file format. 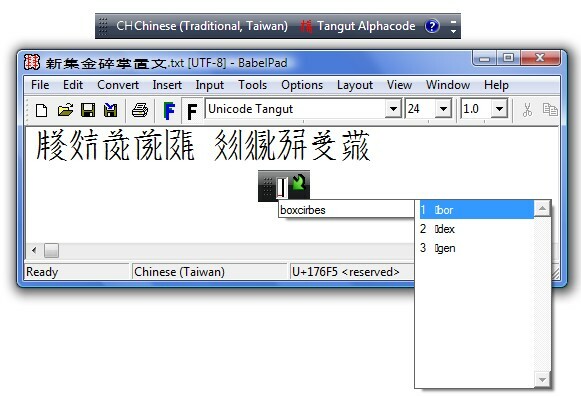 So let's install these two IMEs (with Unicode Tangut specified at 16 points) and the Unicode Tangut font on my Windows 7 laptop and see what happens. Well, that's not any good. How does BabelMap cope? I wonder if Internet Explorer 8 does any better on Windows 7 than Notepad? 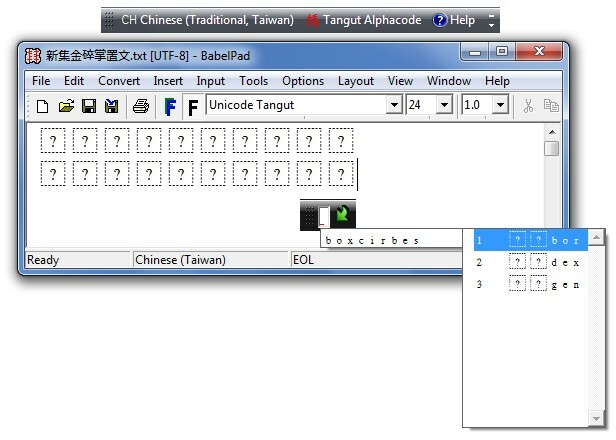 Nope, just like in Notepad, Unicode 5.1 scripts and CJK Unified Ideographs Extension C render OK, but Egyptian Hieroglyphs and currently reserved character ranges come out as little square boxes. 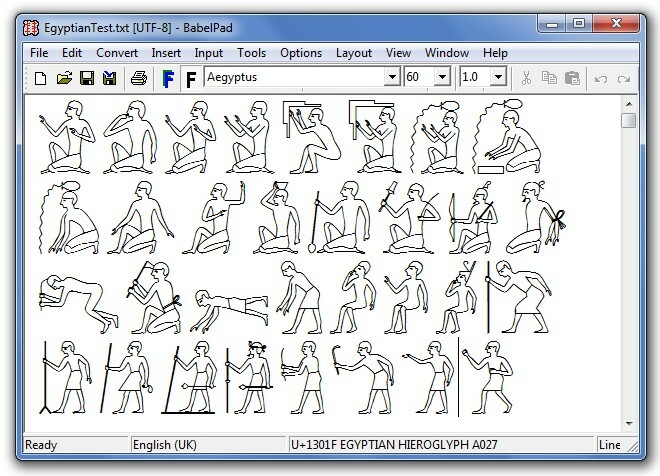 So there you have it, if you want to write in any of the fifteen new scripts added in Unicode 5.2 (Avestan, Bamum, Egyptian Hieroglyphs, Imperial Aramaic, Inscriptional Pahlavi, Inscriptional Parthian, Javanese, Kaithi, Lisu, Meetei Mayek, Old South Arabian, Old Turkic, Samaritan, Tai Tham, and Tai Viet) or any of the various new scripts and symbol blocks that will be added in the forthcoming Unicode 6.0 (Mandaic, Batak and Brahmi scripts, and Playing Cards, Miscellaneous Pictographic Symbols, Emoticons, Transport and Map symbols, and Alchemical Symbols), then my recommendation is to avoid Windows 7. 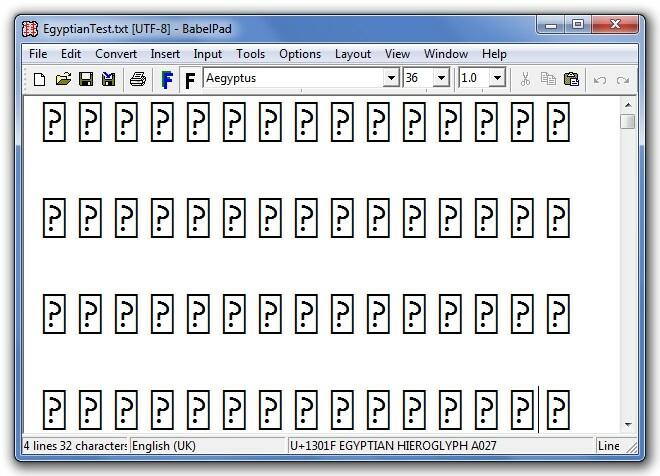 Whilst we are on the subject of Windows 7, let's have a quick look at the rendering of the Phags-pa script in Windows Vista and Windows 7. Now, the Microsoft PhagsPa font is in many respects (and not coincidentally) very similar to my BabelStone Phags-pa Book font, but the one crucial difference between the two fonts is the set of OpenType features that are used to control the joining and shaping behaviour of characters. 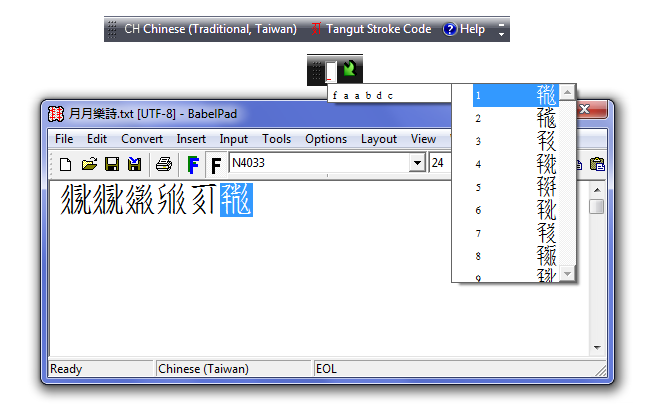 The BabelStone Phags-pa Book font uses the Contextual Ligatures <clig> and Glyph Composition Decomposition <ccmp> features to enable it to do all the joining and shaping stuff, including variation sequences, internally without any need for assistance from Uniscribe. 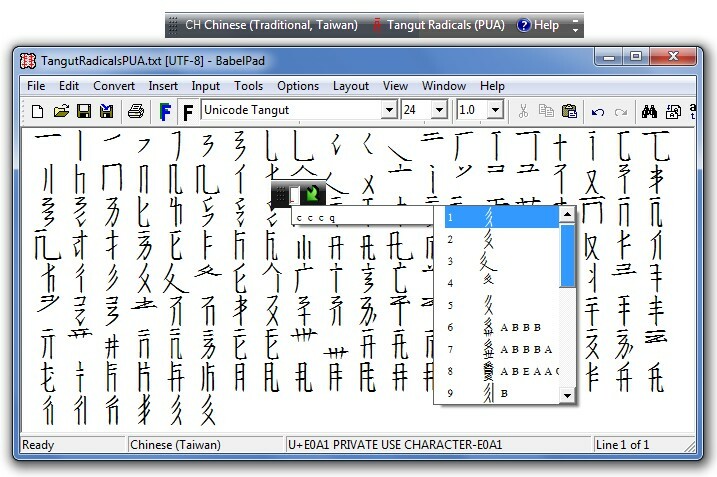 On the other hand, the Microsoft PhagsPa font uses the Initial Forms <init>, Medial Forms <medi> and Terminal Forms <fina> features to do the joining behaviour, and these features rely on Uniscribe. 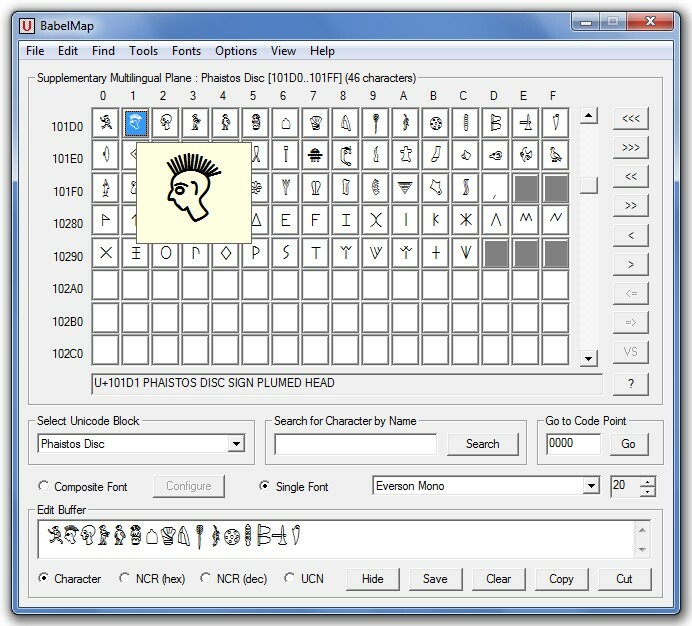 For this reason, the Microsoft PhagsPa font won't work correctly under Windows Vista (no Uniscribe support for Phags-pa), and conversely, the BabelStone Phags-pa Book font won't work correctly under Windows 7 (too much Uniscribe support for Phags-pa). I can't really complain about this, as Microsoft support for Phags-pa would almost inevitably mean making Uniscribe instrumental in the rendering process and using a different set of OpenType features than I used (of necessity) in my font. 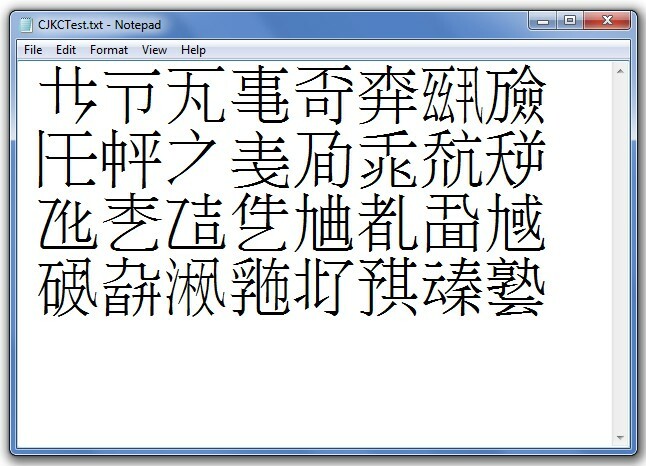 What I will do, when and if I ever get some free time from Tangut, is release new versions of my Phags-pa fonts that use the same OpenType features as the Microsoft PhagsPa font does. But there is one added complication. Starting with Windows 7, Microsoft now use the newly defined Format 14 cmap subtable (Unicode Variation Sequences) to process variation sequences, thus by-passing OpenType entirely. 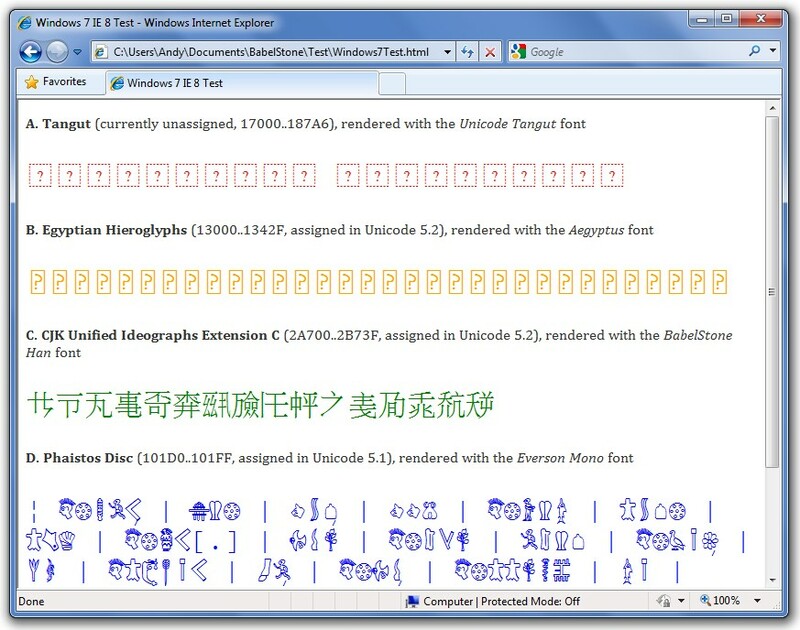 In Windows Vista and earlier, variation sequences would work without any special support from Uniscribe by defining glyph substitutions in the font under the Glyph Composition Decomposition <ccmp> OpenType feature. Thus, under Windows Vista it is possible to correctly render Mathematical Variation Sequences by using James Kass' Code2000 font, or Phags-pa variation sequences using my Phags-pa fonts. 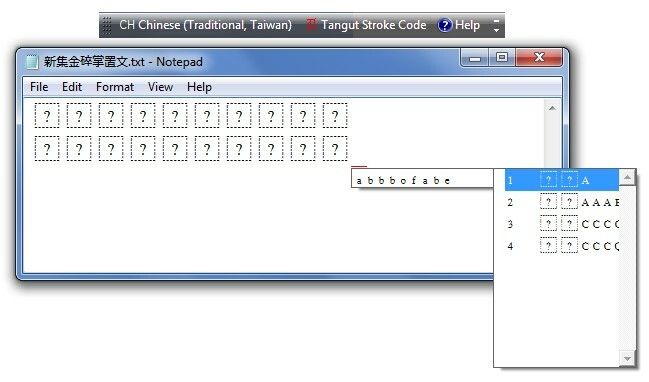 But under Windows 7, variation sequences no longer render correctly using these fonts. Instead, under Windows 7, Microsoft's Cambria Math font supports Mathematical Variation Sequences, and Microsoft PhagsPa supports Phags-pa variation sequences, by including variation sequence mappings in an additional Format 14 cmap subtable which is accessed by Uniscribe. 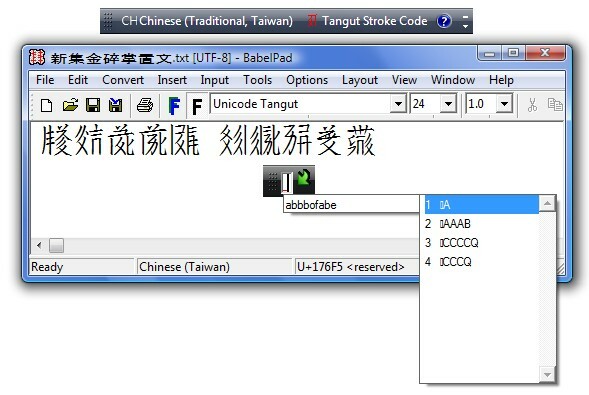 In my opinion, the use of a cmap subtable to apply variation sequences rather than use simple OpenType features is a very bad idea, as it overcomplicates what is essentially a very simple task, and makes variation sequence support not backwards compatible with versions of Windows prior to Windows 7. 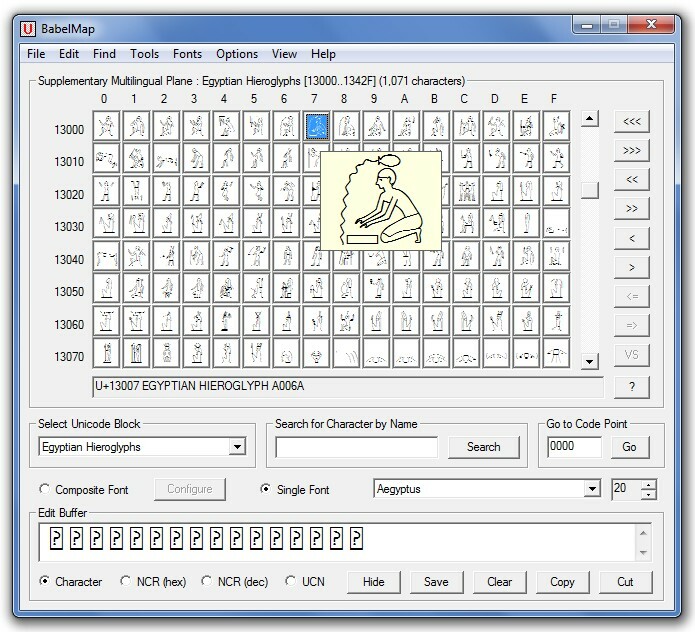 Moreover (and from my perspective, more importantly), there is not yet widespread support for the new Format 14 cmap subtable, and the font editor that I use have no short term plans to add support for this subtable, which makes it difficult for amateur font developers like myself to create fonts that use the Windows 7 model for variation sequences. 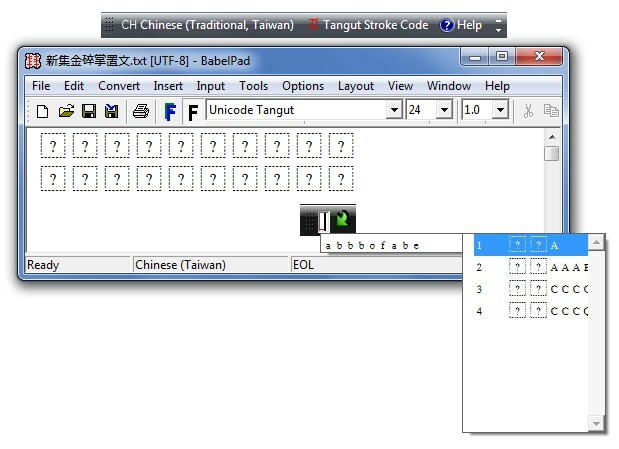 ... the variation sequence (highlighted) is rendered incorrectly as two disconnected glyphs. Looks like Internet Explorer 8 does not yet support the new Format 14 cmap subtable for variation sequences; yet one more example of Microsoft's disconnected thinking across different development teams, and the appalling lack of testing that seems to be par for the course with Microsoft.